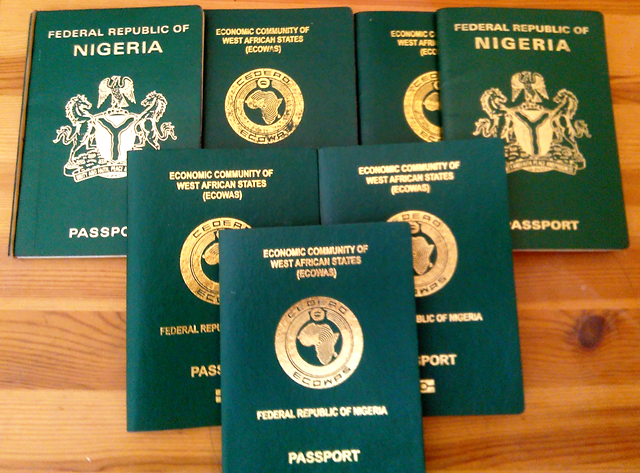 Nigerian passport booklet - (Google Photo). Nigerians abroad that have faced any form of extortion at the nation's High Commission now have an email and a number to report these issues to and end the abnormally. Nigerian Immigration Service (NIS) wants to end alleged extortion of international passport applicants at Nigerian High Commission in the UK and other countries. The agency has provided email addresses and telephone number for Nigerians to formally report any form of extortion at any of the nation's offices abroad. A spokesman for the NIS, Mr Sunday James, gave the number and email in a statement on Monday. The agency released immigrationspro@gmail.com, nis.servicom@nigeriaimmigration.gov.ng and +2347080607900, advising Nigerian Passport applicants in the UK or other countries to report cases of extortion at the nation's embassies abroad. This decision is coming after the agency saw a viral video of some Nigerians protesting against the alleged extortion at the High Commission. James said: "The protesters alleged that some officials of the High Commission are unduly surcharging them for passport issuance. "It has become necessary to state that payment for passports are done online and so nobody is expected to come to the High Commission with cash, let alone any case of extortion. "In the meantime, machineries have been put in place to unravel the veracity of the allegation". The NIS spokesman cautioned against the use of abusive language by protesters which he said was capable of tarnishing the nation's image. "It is important to follow due process of presenting grievances concerning wrong doings or poor service delivery. "The Comptroller General of Immigration wishes to use this medium to appeal to Nigerians to always endeavour to report any known case of poor service delivery for appropriate investigation and possible sanctions," he added.